On January 23, 1840, German physicist, optometrist, entrepreneur, and social reformer Ernst Abbe was born. 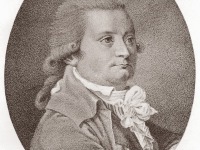 Together with Otto Schott and Carl Zeiss, he laid the foundation of modern optics. As a co-owner of Carl Zeiss AG, a German manufacturer of research microscopes, astronomical telescopes, planetariums and other optical systems, Abbe developed numerous optical instruments. Abbe was born in Eisenach, Germany. His father Georg Adam Abbe was a foreman in a spinning mill. 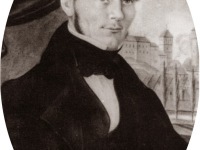 After elementary school from 1846 to 1850, thanks to the private support of his father’s employer Julius von Eichel-Streiber, he was able to attend a proper education. 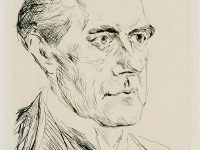 His natural scientific talent, which was already apparent at that time, combined with a strong will, prompted his father, despite modest financial means, to enable him to study mathematics, physics, astronomy and philosophy in Jena (1857-1859) and Göttingen (1859-1861), whereby Ernst Abbe himself earned part of his living as a private tutor. Among his academic teachers were the mathematician Bernhard Riemann  and the physicist Wilhelm Eduard Weber. He successfully defended his PhD in Göttingen 23 March 1861 with the thesis on Erfahrungsmäßige Begründung des Satzes von der Äquivalenz zwischen Wärme und mechanischer Arbeit (Experiential justification of the set of equivalence between heat and mechanical work). He then became an assistant at the Göttingen observatory before accepting a brief position (1861-1862) at the Physikalischer Verein in Frankfurt am Main and soon afterwards in 1863 he finished his habilitation in Jena which a thesis on lawfulness in the distribution of errors in observation series. He then taught mathematical physics there as a private lecturer. In 1870 Abbe was appointed an extraordinary professor (since 1891 he had been released from his teaching duties). In 1873 he was elected a member of the Leopoldina academy of scholars. Abbe became director of the Jena observatory in 1878. In 1866, Carl Zeiss, back then the university’s mechanic, invited Abbe to help him constructing a scientific microscope and after some difficulties at the beginning, both engineers were able to critically improve the microscopes with their invention of the apochromatic lens, a microscope lens which eliminates both the primary and secondary color distortion. From then on, Ernst Abbe began his career as Zeiss’ partner. By 1870, Abbe invented the Abbe condenser, used for microscope illumination. In 1871, he designed the first refractometer,a laboratory or field device for the measurement of an index of refraction (refractometry). He developed the laws of image of non-luminous objects by 1872. Zeiss Optical Works began selling his improved microscopes in 1872, by 1877 they were selling microscopes with homogenous immersion objective, and in 1886 his apochromatic objective microscopes were being sold. Abbe’s work with Carl Zeiss not only made him famous, but also wealthy. After Zeiss’s death, Abbe founded the Carl Zeiss Foundation and became highly active in concerns of social and political issues. He supported the social democrats, introduced the 8 hour working day, in remembrance of the 14-hour workday of his own father, and supported the freedom of assembly. In addition, he created a pension fund and a discharge compensation fund. 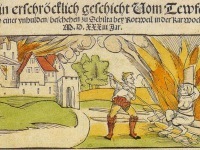 Abbe depicted one of the founders of a newspaper, attempting to distribute politically independent news, wherefore he was loved by his employees as well as the general public of Jena. In 1889, Ernst Abbe set up and endowed the Carl Zeiss Foundation for research in science. The aim of the foundation was “to secure the economic, scientific, and technological future and in this way to improve the job security of their employees.” He made it a point that the success of an employee was based solely on their ability and performance, not on their origin, religion, or political views. In 1896, he reorganized the Zeiss optical works into a cooperative with profit-sharing. Ernst Abbe was appreciated as a brilliant engineer and a courageous social and political reformer in Germany. He was honored numerous times through monuments, the lunar crater ‘Abbe’ was named after him and the Ernst Abbe Foundation was developed. 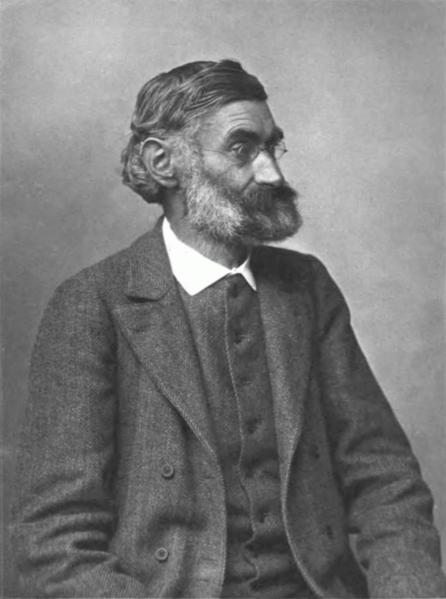 Ernst Abbe passed away on January 14, 1905 in Jena. O’Connor, John J.; Robertson, Edmund F., “Ernst Abbe”, MacTutor History of Mathematics archive, University of St Andrews . Hippolyte Fizeau and the Speed of Light, SciHi Blog, September 23, 2014.